Last edited by Paul Rossi on Fri Nov 09, 2018 4:28 pm, edited 1 time in total. A real beauty, Paul. Super flight pose, excellent plumage detail, and lovely complementary background. A great avian photograph! Excellent shot Paul, not easy getting these birds inflight. Paul, now that's a tough shot to get, especially with the good angle you got, as they sometimes come bursting out without warning! Super nice flight angle, pose and complementary BG. Neat to see the trailing feet. a very perfect one from beck to the feet and the added earth tone bg color is a bonus. Great in-flight capture of this secretive species...Lovely flight pose and BG. 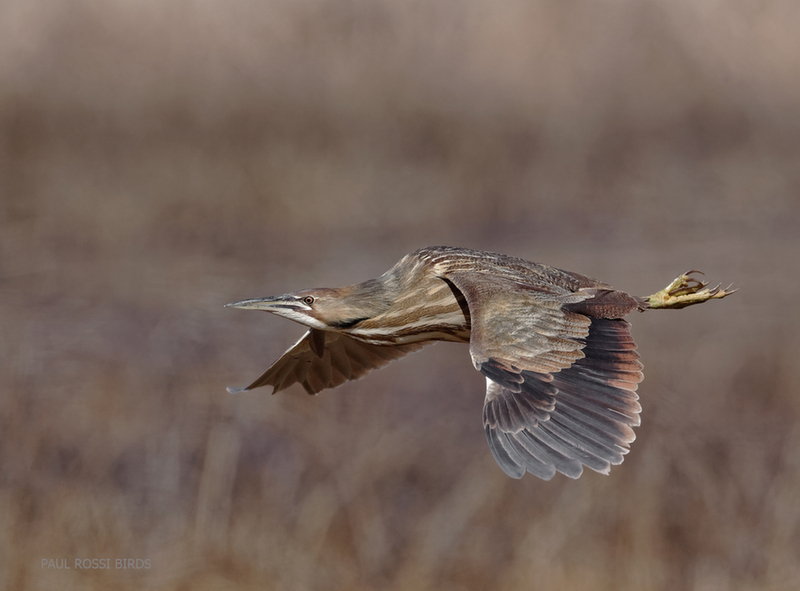 Nice Bittern shot Paul! These shots are hard to get. Beautiful capture. Everything comes together here, Paul. Beautiful!